The city of Monterey Park, a suburban community located 7 miles east of downtown Los Angeles, has the distinction of having the highest percentage of Chinese Americans of any city in the United States. These photos are along South Atlantic Blvd, one of the major thoroughfares in the city. Above, the Chinese Evangelical Free Church. My wife and I attended a friend's wedding here years ago. The Chase Bank at the corner of Harding and S. Atlantic. 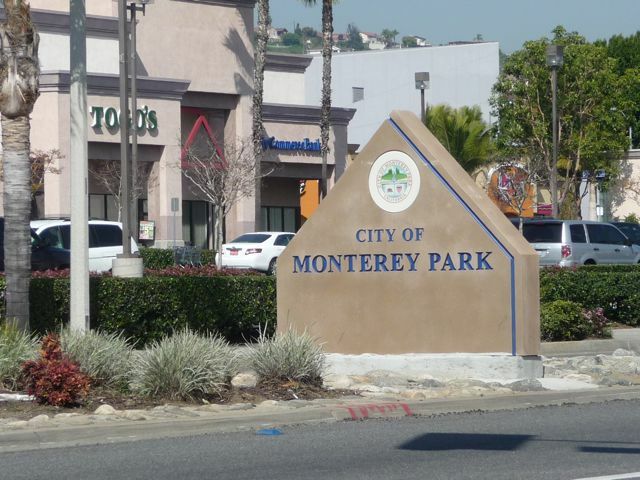 The city of Monterey Park has a population of 60,000 residents - 2/3rd of whom are Asian-American; almost 50% of whom are Chinese Americans. 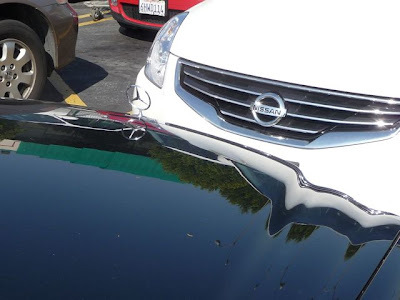 Unlike previous blog posts, many of these photographs were taken while driving - through my windshield. 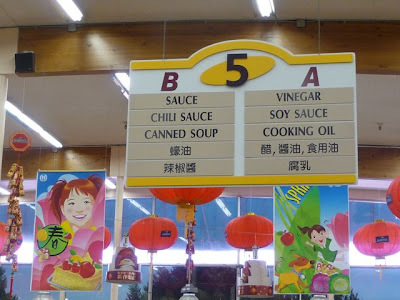 This could be a suburban shopping plaza pretty much anywhere in the United States, except that everything is in both English and Chinese. 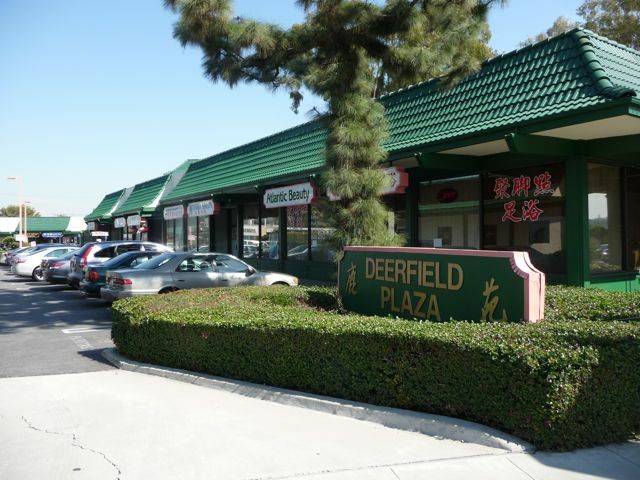 California State University, Sacramento professor Timothy Fong describes Monterey Park as "the First Suburban Chinatonwn." According to our friends at Wikipedia, beginning in the 1970's, well-educated and affluent Asian Americans began settling in the west San Gabriel Valley, primarily in Monterey Park. 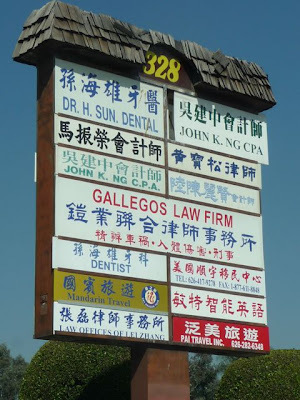 In many ways these signs remind me of Koreatown, a few miles away in Los Angeles (here's a link to a previous post). As an aside, there are also numerous suburban Korean American communities in Cerritos, Hacienda Heights, Fullerton, Buena Park, and the northwest San Fernando Valley. Back to South Atlantic Boulevard: apparently Monterey Park tried to pass zoning ordinances in the 1988, in an attempt to limit new building resulting from the growth from the influx of Asian immigrants. 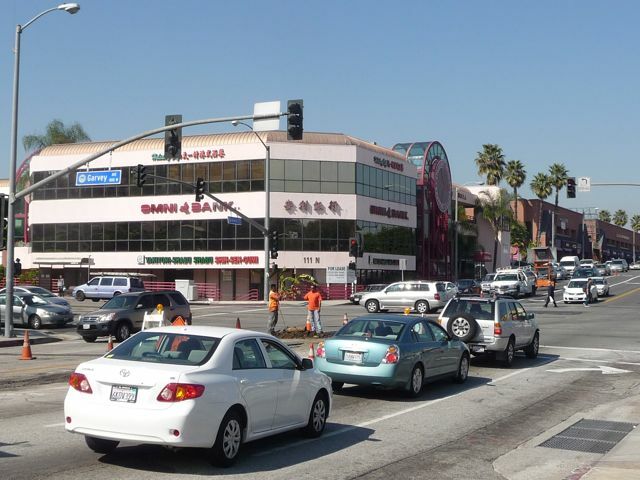 As a result, many Chinese immigrants moved a couple miles away to the adjacent city of Alhambra. 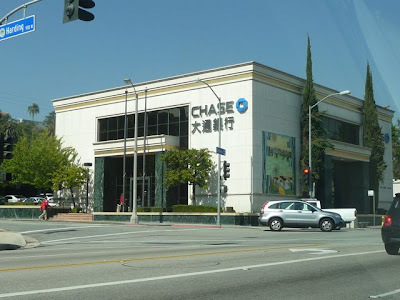 While in the 1980's Monterey was called "Little Taipei" - there has been a continual shift north - and east. 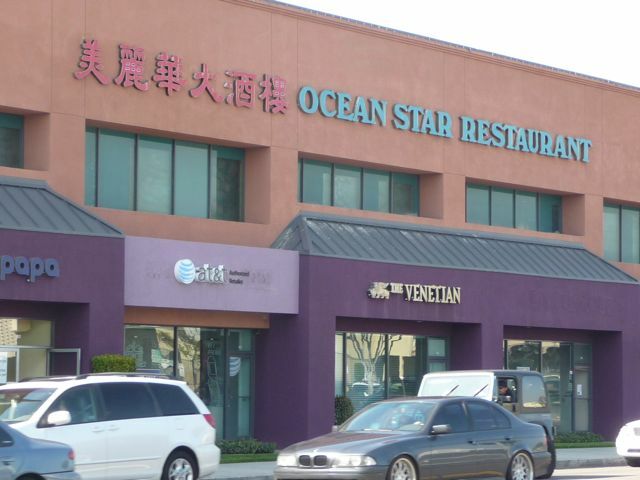 Many established, wealthy Taiwanese immigrants have since relocated out of Monterey Park and northward to wealthier cities of San Marino, Arcadia, Temple City, South Pasadena, and eastward to Diamond Bar, Hacienda Heights, Walnut, and Rowland Heights (sometimes called the "New Little Taipei"). The map above of San Gabriel Valley - located immediately east of downtown Los Angeles, shows the checkerboard of different municipalities. Unlike the Los Angeles' San Fernando Valley (the vast majority of which lies within L.A. City limits), the San Gabriel Valley has over thirty independent cities, each with their own city government. 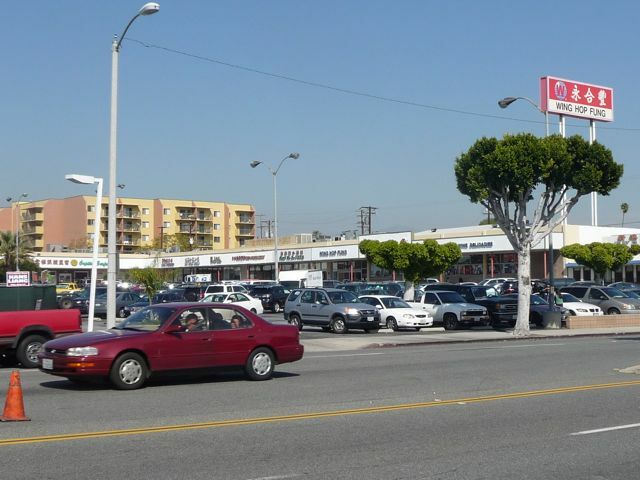 Over 1.5 million people live in the San Gabriel Valley, most of which is covered by the 626 area code. More on this in a bit. I stopped to get gas at the corner of S. Atlantic & Garvey - love the Chinese guy squatting while on on his cell phone. 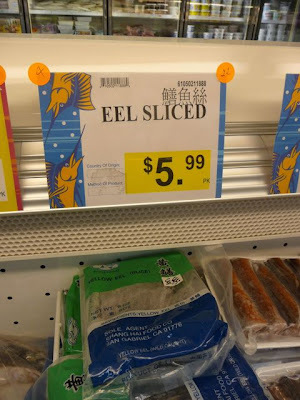 Super common all over China. Less common in the USA. 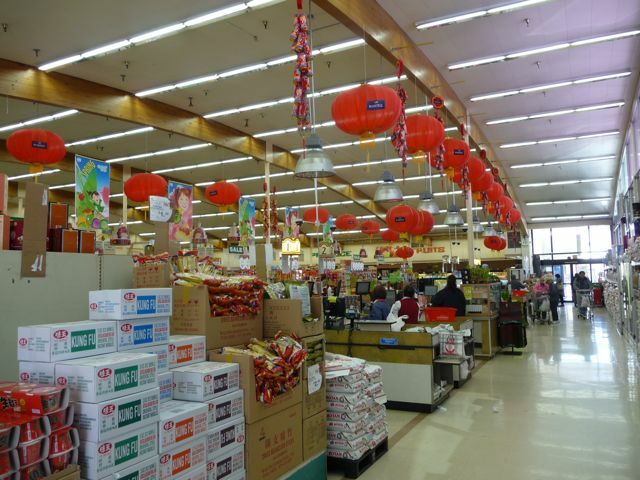 Inside the MASSIVE "Ranch 99" supermarket across the street (corner of S. Atlantic & Garvey). Ranch 99 markets are found in California (as well as Washington State, Texas, and Nevada) featuring a wide selection of Asian American food choices. Here's a link to their store locator. 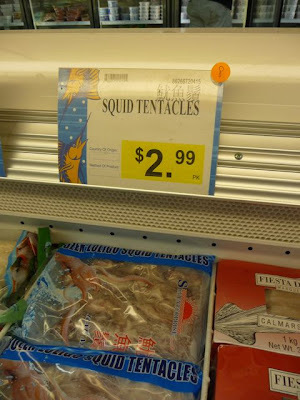 But this was the largest I'd ever seen. Note the bi-lingual signs inside the store. 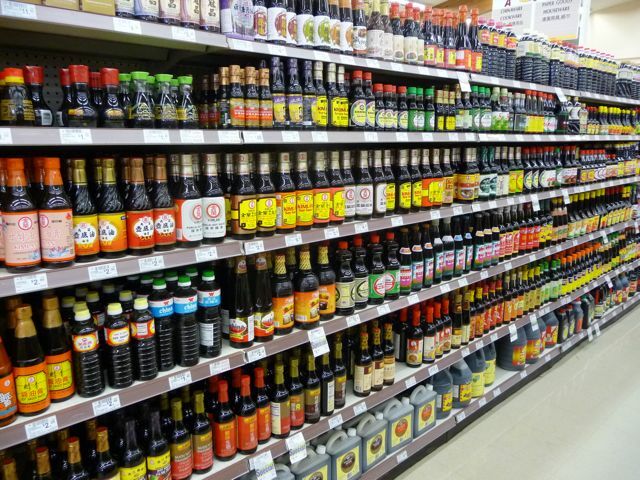 The soy sauce aisle. Wow, what a selection. Here's something you'd be hard pressed to find in your average Kroger or Safeway: squid tentacles. The Ocean Star Restaurant. The reception of that wedding my wife and I attended at the Chinese Ev Free Church was held here. Excellent time, outstanding food!
. 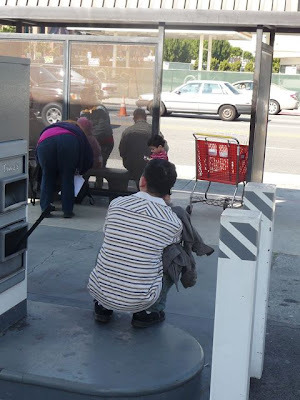 . . more recently, I came across this GREAT video by the Fung Brothers, a couple of Chinese American guys, celebrating life in "the 626" (their area code). Very catchy tune, and really captures the Asian American experience in what they affectionately call "the SGV" (San Gabriel Valley). The song kicks in at 1:08. Cars in the parking lot at Ranch 99. 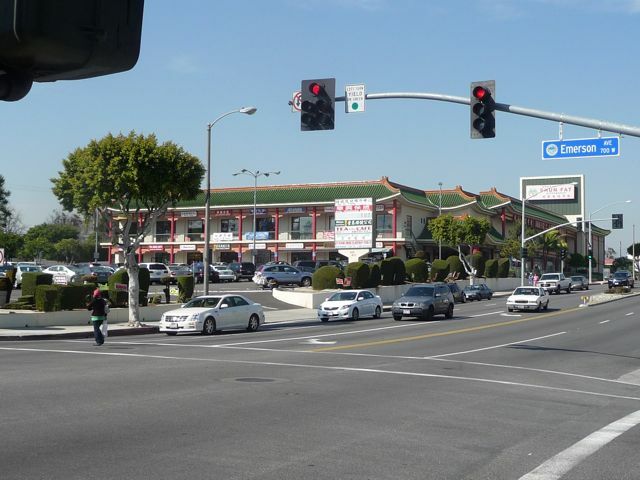 Unlike "poor" immigrant neighborhoods of previous eras, there's a lot of money in the San Gabriel Valley. That's certainly not to say that everyone is rich. Far from it. But it's certainly another world from the small urban Chinatown next to Dodger Stadium in Los Angeles (here's a link to a previous post on that). A final shot out my car window at the corner of S. Atlantic and Emerson, with yet another Chinese-American shopping center up ahead. The San Bernardino Freeway - "the 10" - was another few blocks up. 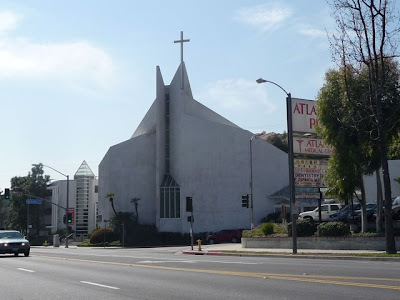 The Fung Brothers video, and my very brief drive up South Atlantic Blvd, reminds me that while our family lived in Los Angeles for five years, there were huge parts of the metro are that we never experienced. In fact, I think the vast majority of our (former) neighbors on "the westside" of Los Angeles don't even know the San Gabriel Valley exists. Hmm, their loss. Of course, it's never too late to take a trip over. 626 fung brother is a great video!